Etruscan Console. Roman furniture. Custom furniture. The Etruscan Console was inspired by furnishings of ancient Rome. Etruscan is the modern name given to a civilization of ancient Italy. Its homeland was in the area of central Italy, just north of Rome, which is today called Tuscany. Culture that may be positively identified as Etruscan developed in Italy after about 800 BC. Around 500 BC the political destiny of Italy passed out of Etruscan hands, but the decline was gradual. The last of the Etruscan cities were formally absorbed by Rome around 100 BC. Ancient Roman architecture began with Etruscan styles which later gave way to Greek influence. The Etruscan Console was designed by Shah Gilani, ASFD. The base is offered in multiple sizes with various top options such as glass, stone, and wood. 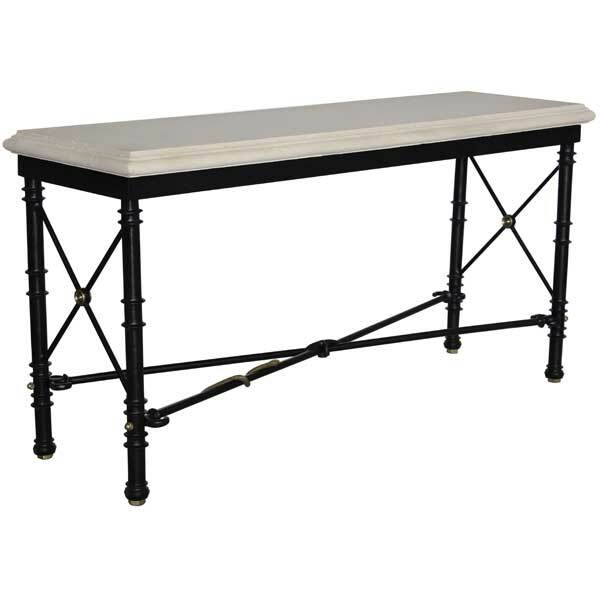 With its understated elegance, it makes an exceptional entryway table or sofa table for upscale residential and hospitality interiors. 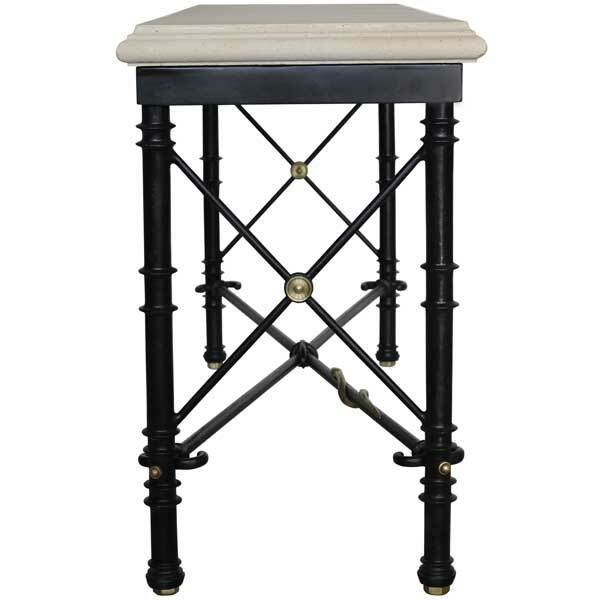 Robust metal construction of the base allows it to support heavy tops without shaking. Four polished bronze glides are provided which also serve as levelers – a useful feature to have when the floor is uneven. The serpent detail on the stretcher may be deleted upon request. The console base is offered in a variety of finishes. It has polished bronze accents. Custom sizing is available.